Richard “Rick” Cosyns represents Division 2 of the Madera Irrigation District. Rick was educated in local schools and received his B.S. in Plant Science from California State University, Fresno. He completed a two year fellowship with the California Agriculture Leadership Program, Class 21 in 1992. Rick has been a general partner in Cosyns Farms since 1977. He has hands on involvement in the production of almonds, alfalfa, pistachios, and 12 varieties of wine grapes. Rick also owns and operates a honey bee pollination service and provides farm management services. He has been married to his wife Lynne for 31 years and they have two children. 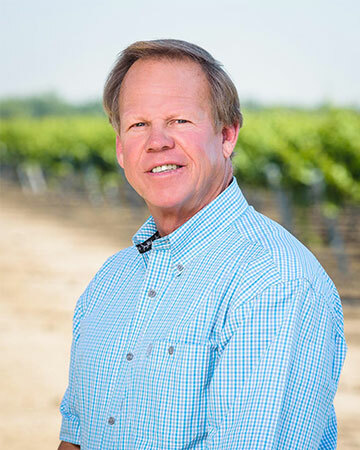 Rick’s past community and industry service includes 12 years on the Madera County Planning Commission and past president of the Madera County Farm Bureau. Rick attends mass weekly and enjoys participating in outdoor sports and physical workouts. Since 2007, Rick has served as a Director for the Madera Irrigation District.